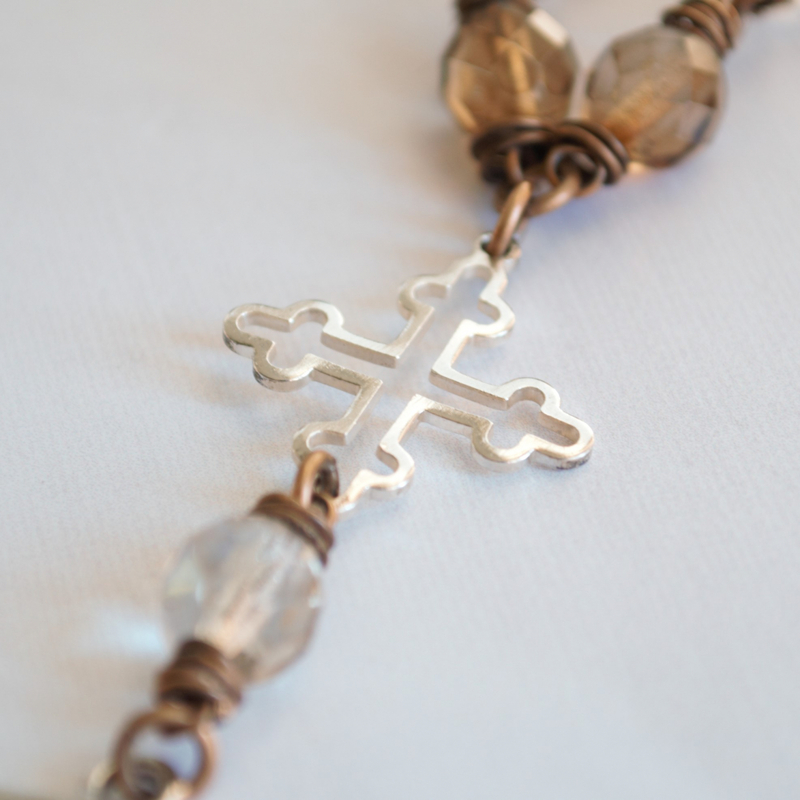 An open work cross is in the center connecting with Czech glass beads in bronze and clear color. 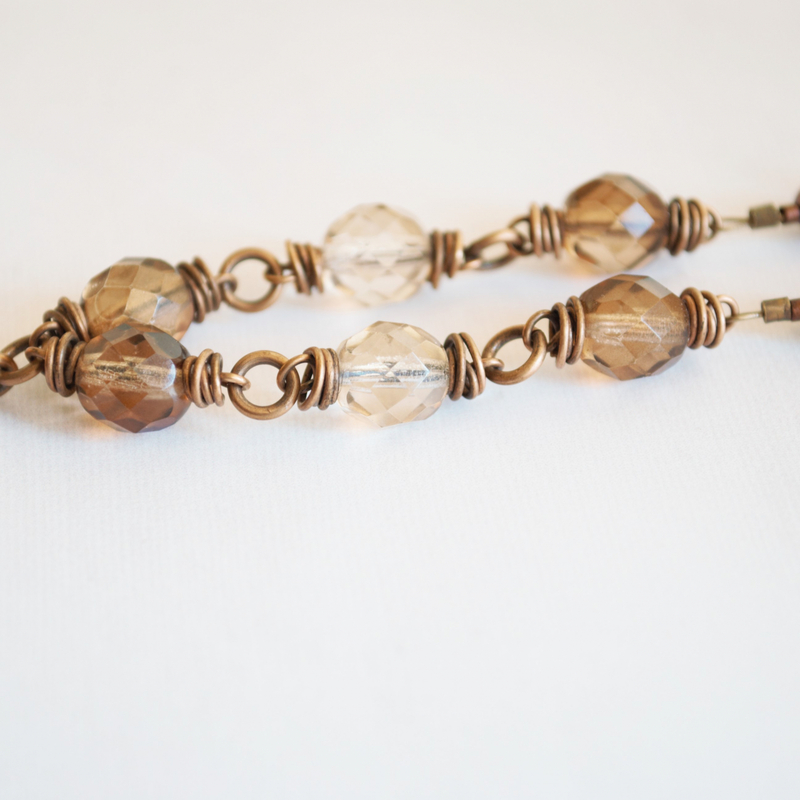 The beads are wire wrapped in oxidized bronze wire. 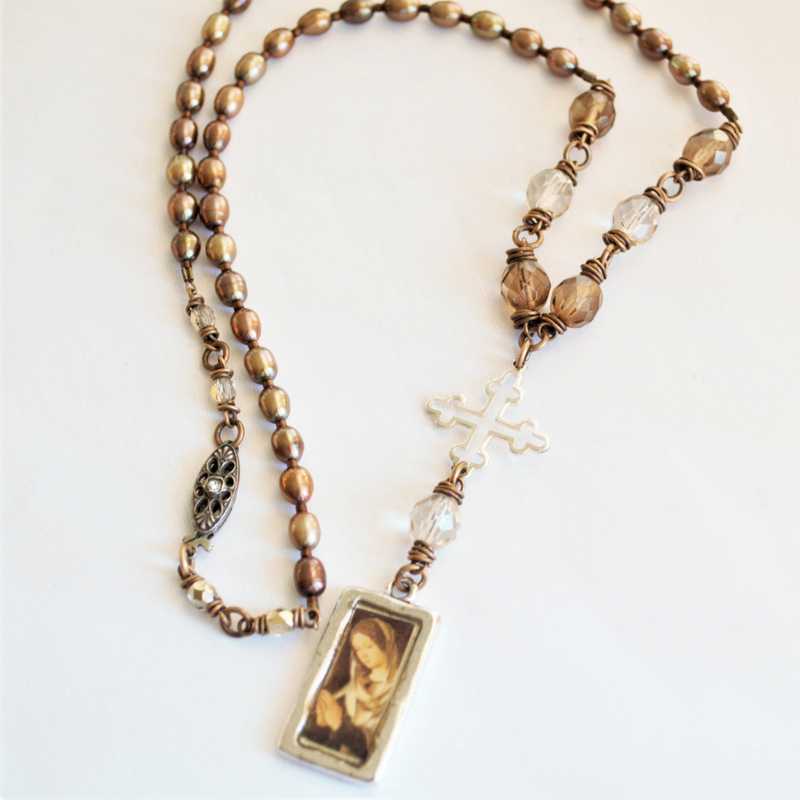 The necklace is finished with bronze colored pearls and a sterling vintage clasp. 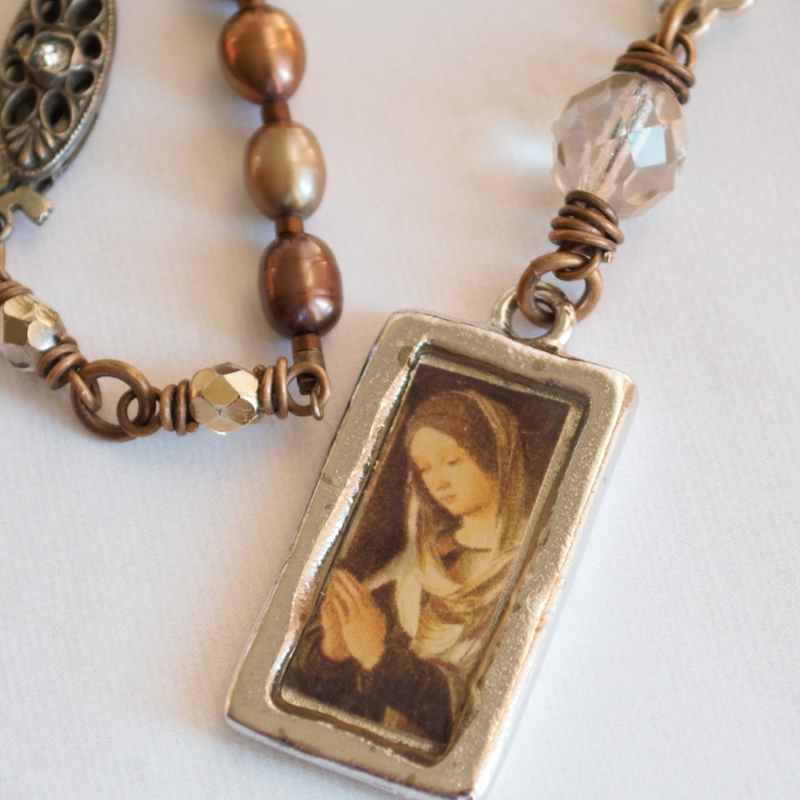 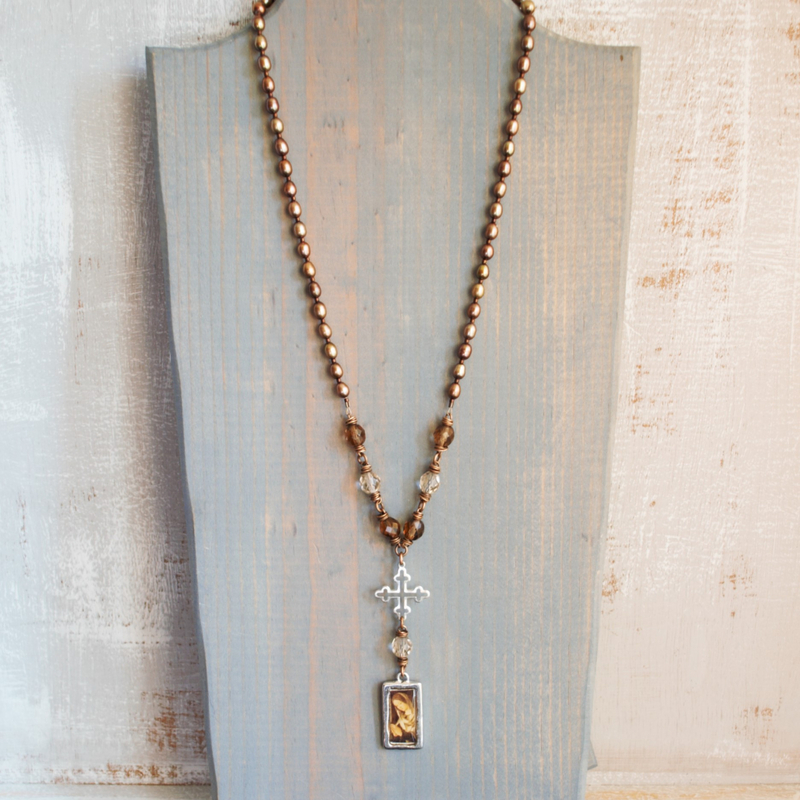 This is a mixed metals necklace in silver and bronze colors is approx 20 inches long around the neck with the additional length of the cross and pendant.